Do you fancy sleeping somewhere a little different on your visit to Sydney? Are you a hotel person, a backpacker, perhaps you prefer self-catering in apartments? Sure Sydney has plenty of these, but I want to show you a couple of unique places you could sleep in Sydney. Surprisingly finding somewhere interesting to stay in Sydney does not have to break the budget. This selection of special places will suit a variety of budgets and tastes. Taronga Zoo Roar and Snore – Spend a night with the animals. 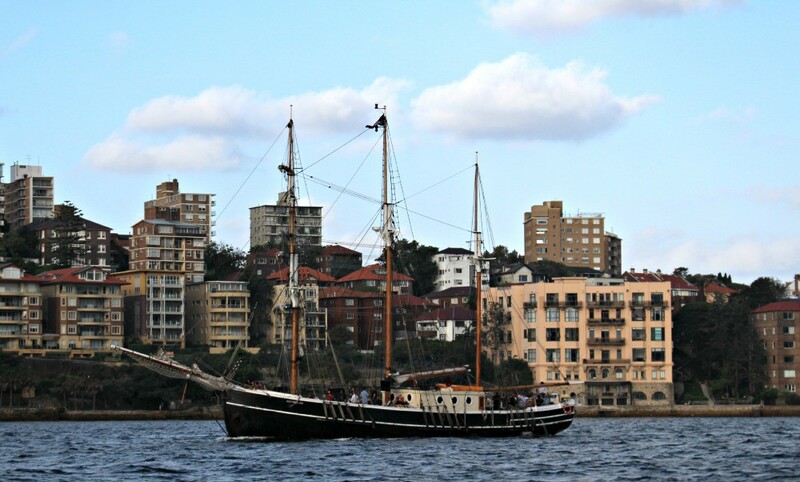 Cockatoo Island is the largest island in Sydney Harbour and you can stay the night! There is lots to keep you busy here, especially if you are travelling with kids. You can play tennis, watch a movie under the stars, take a tour of the convict sites. The island was previously home to a prison, a reformatory school and most recently a shipyard. These days you’re more likely to see art installations or music festivals than boat builders or prisoners. You can take guided tours as a day trip visitor or camp overnight and wake to a harbour sunrise. All this and it’s only 10 minutes by ferry from Circular Quay. Spending some time in a Youth Hostel might not be at the top of your dream list of accommodation but the Pittwater YHA as extraordinary as the view above. Pittwater has it all, Aboriginal engravings, waterfalls, birds waiting to be hand feed or goannas and wallaby looking for dinner in the surrounding bushland. 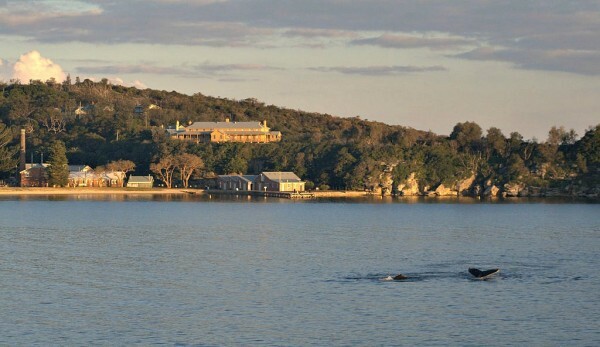 The Youth Hostel or YHA is on the edge of Ku-ring-gai Chase National Park. There are no shops, cafes or bars, and you need to bring everything in that you want to eat and drink. That is part of the appeal. It’s only an hour from Sydney, but you feel so much further away from the city while you are here. The hostel itself was built in the 1930s and has double and dorm rooms. The kitchen has everything you need, and the verandas and hammocks are fantastic! Oh and you can rent the whole hostel if you have a big group. It’s a 1-hour bus ride followed by 10 minutes on the ferry and a 15 min walk. Make sure you pack light, the walk is uphill! Visit The Pittwater Youth Hostel website for detailed instructions on how to reach the hostel or check out the reviews on TripAdvisor. Sleep overnight at Taronga Zoo with their Roar & Snore program and experience a beautiful harbour sunrise and a personal tour of the zoo without the crowds. Meet animals up close, hear special keeper talks and get that perfect photo before the crowds arrive. 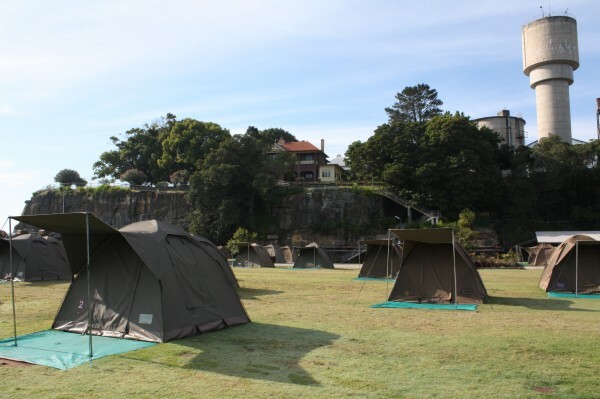 You spend the night in beautiful tents on a hill overlooking the harbour. The program includes two behind the scenes tours, some up close and personal photo opportunities and buffet dinner and breakfast. The best way to arrive is on the ferry from Circular Quay. Q Station was the first stop for many arrivals to Australia. From 1840 till the mid-1980s any ship arriving in Sydney that had a suspected contagious illness was forced to stay here sometimes as long as 40 days. The Q Station allows you to combine beautiful views, historic venues, ghost tours and bushland walks. There are various tours including very scary night ghost tours. Q Station is located at North Head a short taxi ride or free shuttle bus ride from Manly Wharf. The Soren Larsen is a large 19th-century wooden square-rigger 44 metres long with 30 metre high masts. A night on the Soren Larsen gives you the chance to experience Sydney as the early arrivals did. Thankfully your bed for the night will be something a soldier rather than a convict slept in. This experience includes a sunset sailing where you have the chance to climb the mast and learn more about sailing this magnificent ship, drinks, dinner, twin berth cabins and a hearty breakfast with the captain when you wake. In the morning, you visit Goat Island to learn more about our convict past. Located in the historic heart of Sydney, the Lord Nelson is the oldest pub brewery in Australia. It is a 5-minute walk to Circular Quay and a 15-minute walk to the shops at Pitt St Mall. This beautiful sandstone building has nine double guest rooms, some with en-suite and one triple room. The rooms are very comfortable, and the pub itself has a very friendly feel. The only drawback is that the rooms are above the pub, and there is no elevator so you will need to climb the stairs. The pub has a nice restaurant for meals, and several beers are brewed on site. We enjoyed our time here, and I highly recommend a stay. 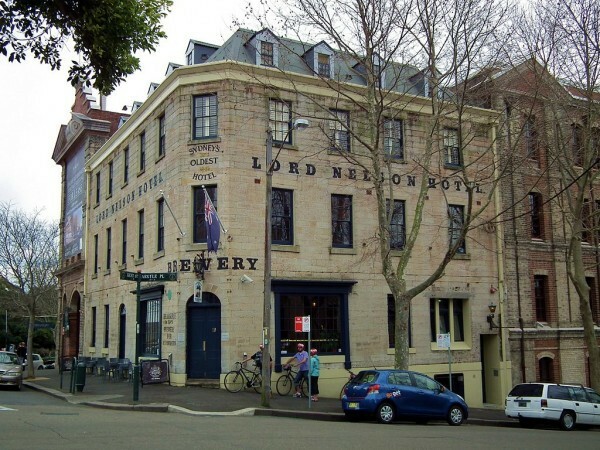 The Lord Nelson is a 5-10-minute walk from Circular Quay. Ok so it is an hour and a half from the CBD but a night or two at the Nan Tien Buddhist Temple will not cost you very much and will give you a great stress-free break. The largest Buddhist Temple in the southern hemisphere Nan Tien offers double and triple rooms from A$88 a night. Add to the cost of a guided temple tour and lunch for $12 each. On the way drive through the Royal National Park, the 2nd oldest national park in the world and watch the hang gliders off Stanwell Tops. You can also drive the new Sea Cliff Bridge. It’s a nice weekend out of the city if your holiday allows time. 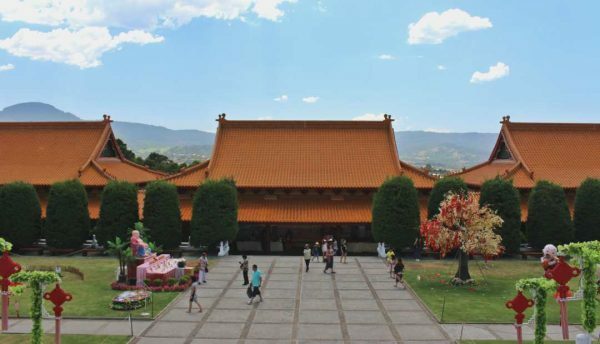 The Nan Tien Temple is a 90min drive from Sydney city. Still not found what you are looking for? Why not head over to the Sydney Expert community and ask a local for their opinion. 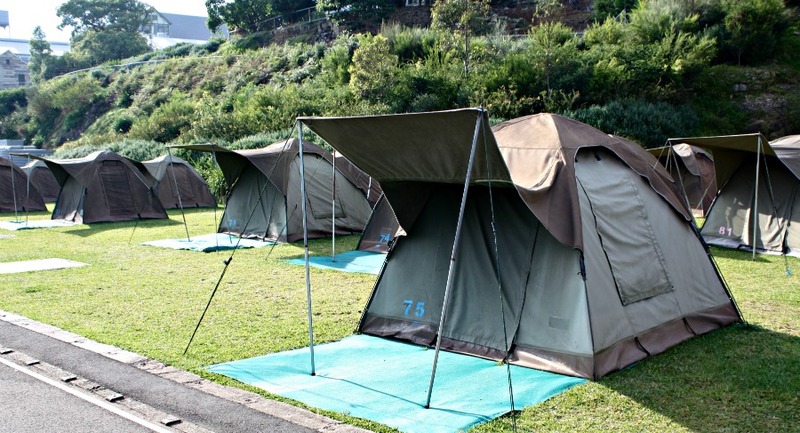 This is such a helpful post, and I had no idea you could rent a tent as accomodations, that is awesome! I have visited all but only actually slept in 3 of them. Would love to do the roar and snore and the tall ship sleep over one day. My favourite of the ones I have done is probably Pittwater YHA. It is fantastic for a real getaway and Cockatoo Island is camping without the fuss. I really want to visit Sydney some say. It’s great to see that there is a lot of things to do around about zoo. I love the idea of sleeping at the zoo! Sleeping at Taronga is fun. If you love sleeping in zoos and you head to Canberra check out the Jamala Wildlife Lodge. i just love unique articles like this one! I am always on the lookout for these kinds of articles. When you think of places to sleep, hotels are the top of the list but your suggestions are awesome! There is just something for everybody in your list. My favorite is the Soren Larsen, it is a total experience!